Shop early, plant later. You want the biggest selection and to see what size and quality bulbs you’re buying. 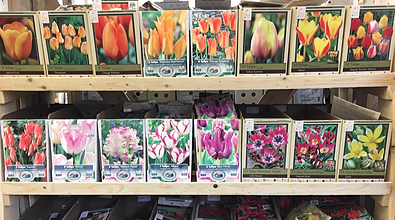 So, buy early for best selection, but store in a cool, dark place until soil temperatures are below 55° F. If your garage inventory is soil thermometer-less know the first frost that kills annuals and tomatoes means bulb planting time has arrived! Bigger is better. There is a direct correlation between bulb size (circumference measured in cm.) and bloom size and quality. “Topsize” bulbs deliver top-notch flower performance! Please understand that certain varieties (species tulips and daffs that are more diminutive in plant and flower size) will naturally be smaller-bulbed than their hybrid counterparts. 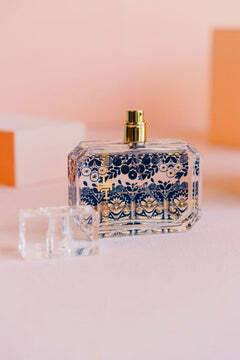 Spread out the flower power. 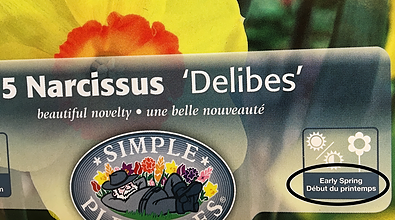 Read the label, read the bag, read the catalog for flowering times. Varieties of daffs and tulips are classified: early, midseason or late. Plan(t) accordingly if you want the longest flowering period. This might be particularly useful if you’re a snowbird and don’t return north until May, buy late varieties that you’ll be present to enjoy. Animal attraction is not just something that occurs on a first date. Know that deer and rabbits love tulips and crocuses. If you want guaranteed animal-proof spring bulbs without using repellents, plant daffodils. They possess toxins that no animal will touch- bulb, foliage or flower. Don’t handle hyacinths with bare hands. The skin of hyacinth bulbs contains calcium oxalate which can cause rash-like symptoms that itch like the devil. 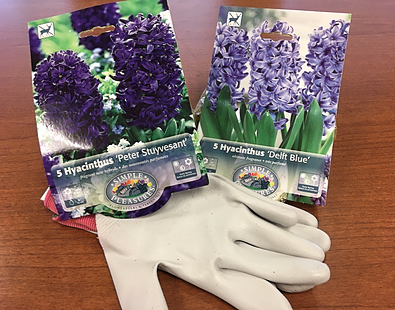 Wear gloves when handling and you’ll have a happier hyacinth experience. Their intoxicating fragrance is well worth donning gloves. Tulips can be temporal. Most tulips are going to be one year wonders, then they start “downsizing” by multiplying into smaller, non-blooming “daughter” bulbs. The exceptions: species or botanical tulips and Darwin hybrids tend to be the best for perennializing. Daffodils and crocuses tend to grow forth and multiply without appreciable loss of flower quality. Don’t forget the fertilizer! Don’t overlook using a complete fertilizer (one that contains nitrogen, phosphorous and potash). 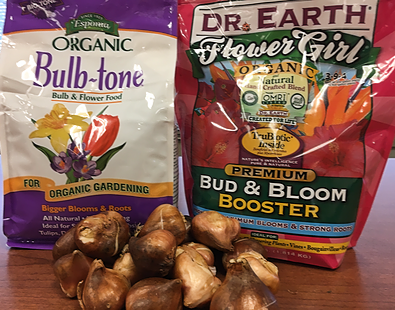 For new plantings, don’t put the fertilizer in the bottom of the hole and set the bulbs on top of it. Rather, place bulbs in hole, cover with one inch or more of soil, then add fertilizer. Or backfill the hole to the top and the place fertilizer on top of the filled planting hole. Established plantings can be fed in fall or upon emergence in the spring. Do an initial deep watering to settle the soil and trigger the rooting response. If fall is dry, water periodically until the ground freezes. Squirrels, I’m told, are drawn to the smell of freshly disturbed soil rather than the allure of the bulbs. 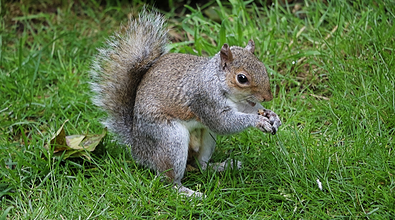 Stop squirrel shenanigans by spraying the bulbs or the finished site surface with an appropriate repellent. Or cover the newly planted site with chicken wire or hardware cloth, weighing it down at the corners to hold it in place. Either action should discourage digging paws. Mulch after the ground has frozen. Two or three inches of organic mulch (cotton burr compost, leaf mulch, etc.) over the bulb site will keep the soil from freezing quickly (allowing additional roots to form even if you’re planting at Thanksgiving). In the spring mulch will keep soil colder so the bulbs won’t be tempted to emerge too early if it’s been a mild winter. Quality and bloom uniformity are often improved with mulch applications. Bulbs. Buds. Blooms. Beautiful, but only if you plant in the cool soil of fall. Pantone's color of 2019 is Living Coral. Cited as a color of carefree happiness, it symbolizes our innate need for optimism and joyful pursuits, a feeling people may be craving in today’s landscape. Get inspired to add this popular color to your home, garden, and everyday life! What’s all this Fuss about Frost? We all know frost by sight. It’s so obvious, right? It’s that collection of pretty (if you don’t have tender annuals or vegetables that can be killed by it) ice crystals that have the potential to be deadly to “frost tender” plants. It tends to be most obvious from a distance on grassy sites. During the next few weeks, we will be sitting down to numerous holiday meals with family and friends. Planning a beautiful tablescape is just as important as planning the perfect menu. A beautifully set table can elevate your holiday meal from great to perfect. Let Chalet walk you through the basics of a perfect tablescape!